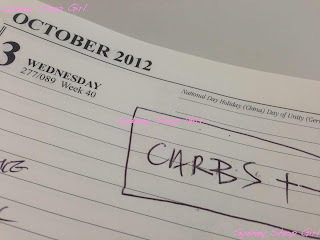 Sydney Shop Girl: Counting Carbs On the Best Diet Ever. Once I got past the 3 page list of foods to avoid and subsequently miss like crazy, pregnancy eating has been a joy. A meal of some sort every 3 hours, being 'forced' to have cooked to order hot meals whenever I go out and on a more serious note, eating minimally processed whole foods whenever I can. Added to all of this is the cheery fact that my obstetrician is yet to park me on the scales at his rooms. Despite our seeing each other on a semi regular basis for the last seven months. Things got even better this week when I had to start carb loading for my glucose tolerance test this Saturday. 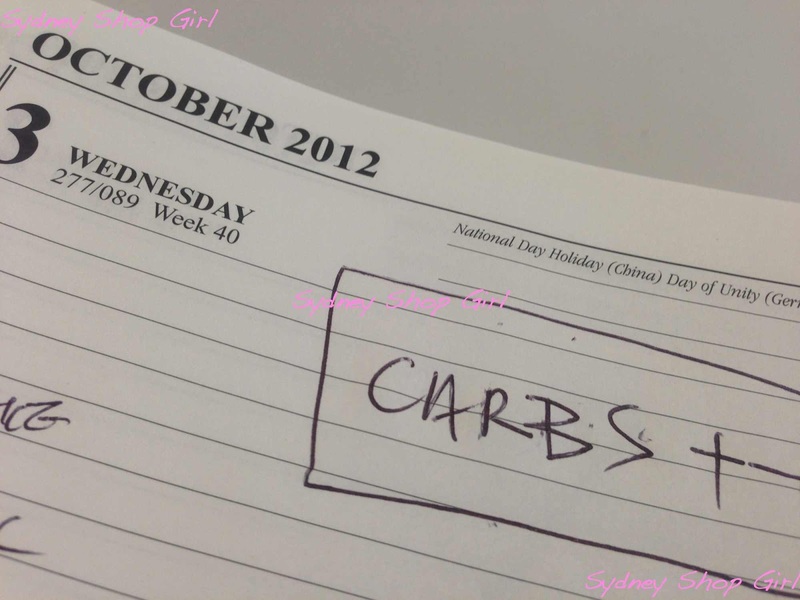 The cruelty of being forced to eat carbs all day for 72 hours is one I have been gladly enduring for the greater good. My goal for each day is 10 carb units a day. It's meant to be pretty easy to achieve with most people's diets. The information sheet I was given emphasized that it was better to err on the side of excess and that a couple of biscuits here and there wouldn't go astray. Why can't all diets be this fun? I failed that 1 day juice detox a couple of years ago but I just know I'll blitz this carb loading diet. There is a downside though, I have to drink a glucose loaded drink on the day and will be fasting until 10am. I don't think doing both of these on the same day is humanly possible for me at the moment but we will see. I may have to take the lead of the SOLO men and slam that drink down as fast as I can. In the meantime, let the carb counting continue! Toasted Turkish bread has been my breakfast of choice. One half buttered plus Vegemite. The other half honey and Skippy'd. 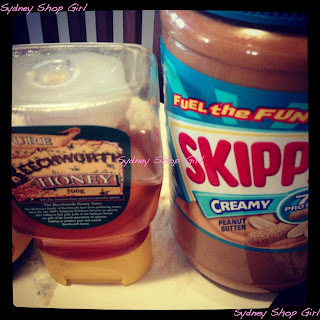 I'm torn between Kraft and Skippy peanut butter at the moment. Skippy is a little saltier and is a gorgeous camel colour and is currently winning on account of both these attributes. 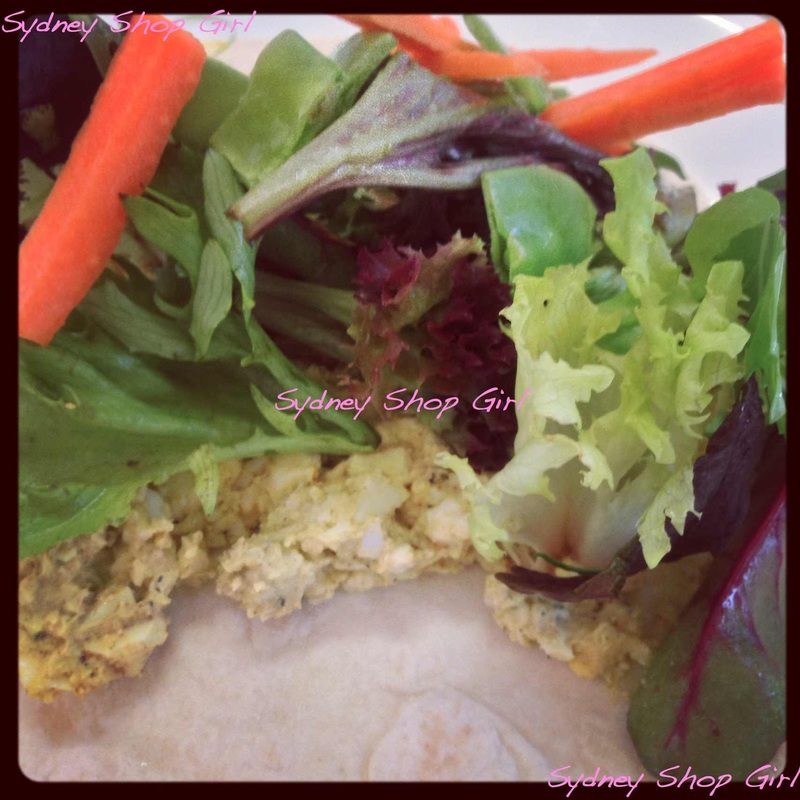 Lunches have featured flat bread filled with my latest obsession - home made curried egg. I've managed to perfect the key ingredient of hard boiled eggs with some help from Nigella Lawson. Placing an unlit match in the pot with your eggs and cold water really does prevent the egg shells from cracking. I boil the eggs until they reach a rolling simmer, turn off the heat and leave for 12 minutes. Perfect hard boiled eggs every time. For the curried eggs, I stick to the basic recipe of 2 hard boiled eggs, 1/2 tsp of Keen's Curry Powder, a 1/4 tsp of mustard powder, a small tbsp of mayonnaise, salt and pepper. By last night, it was all getting a bit much. 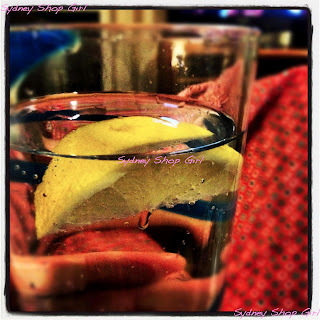 The only thing I wanted after dinner was a tall glass of water with a wedge of lemon. It's such a simple yet cooling drink and I had forgotten just how refreshing it always is. 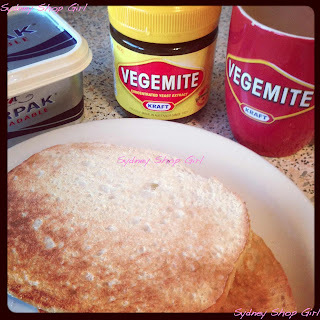 Aside from carb counting, what else have I been up to? My favourite section of the Sydney Morning Herald has had a face and content lift this week. There was so much to read, and it spanned an even broader cross section of food interests than it used to. 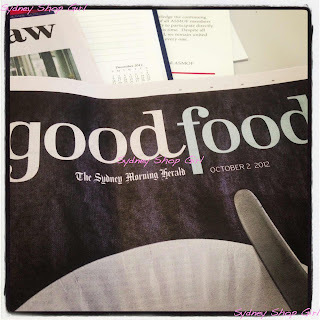 There was even a name change from Good Living to the more succinct Good Food. I'm really happy with the new direction and hope that the high standard continues. 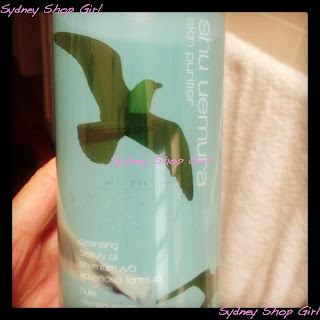 In the skincare stakes, order has been restored with the return of Shu Uemura's Skin Purifier Cleansing Oil to the bathroom bench top. So that I'll never again be in danger of running out, I got the largest possible bottle from Strawberrynet. I really like the summery sea gull label. Trust Shu to make sea gulls an icon of skincare. And TOP SHOP Sydney opened its doors today. I've heard good things so far about what's on offer and it's meant to be a huge store. I'm hoping that there'll still be stock this weekend and that it won't be night club style queues and security either. I will report back. That's it from me this balmy Thursday night. Brynne Edlesten awaits on the television. Um, I have been through 2 pregnancies and in neither did I get told to carb load before the drink! I feel as though I missed out. Me too! I didn't carb load, but then I was classed as "high risk" and skipped the first test and went straight to the 2-3 hour test. There is a sugar high I never wish to repeat. I still feel ill looking at green cordial! The drink is gross :-( but it will be over before you know it. And the carb loading this really has me baffled?!?!? I was never asked to do that? Maybe it's a new thing. That's really strange, ladies. Everyone who I spoke to at the path centre carried on as if it were perfectly normal to be on this diet. I guess I'll find out tomorrow. So strange, I didn't carb load for my GTT just had to eat normal food, non sugary stuff for the 24hrs before hand and make sure I had breakfast. A tip: as soon as I'd done the test I went straight to the ward and tested my blood sugar just to make sure it was all ok (it was). Sometimes it helps to be giving birth in the hospital I work in!!! Good luck with the test, the drink is horrid I just skulled the whole thing. Can you suss out if they have a maternity section at Topshop? Did not carb load and I did 2 GTT in my lifetime. The first one was horrendous... i wasn't mentally prepared for that crap i had to endure. The second was fine and i was in the most quiet pathology rooms ever on earth. Your diet sounds much more fun that mine. That said I have totally abandoned it whilst feeling sick so we now have no icecream or chocolate left in the house - opps! oh myyy! I wanna go to Topshop ! oh well, i guess that's just what we can do these days now. I am sure everything would be then that so perfect. I love it then.